The Alcohol Policy Youth Network (APYN) is calling on seven national partners to carry out a one-day national consultation process on alcohol and youth. Topics will cover the main policy alcohol policy fields that can be found on Alcohol: No Ordinary Commodity. Priority will be given to APYN member organizations with a good outreach to young people and decision makers and previous good practice on consultation among young people on health related topics. However, this is not a necessary condition for application. Only European Union + EFTA countries are eligible for funding. The purpose of these national consultation is to collect views by young people and youth organizations of the field of alcohol policy. Being available to deliver the conclusions on the consultations during the 3rd European Alcohol Policy Youth Conference in Slovenia between 12th and 16th May 2016. 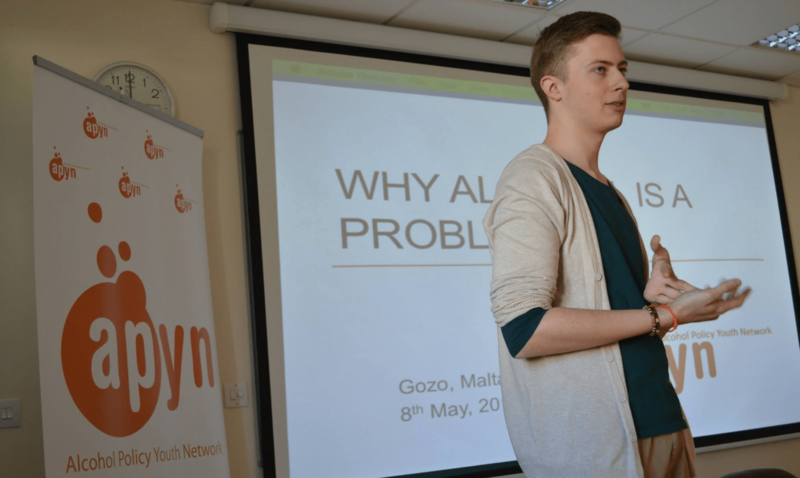 APYN is able to refund costs up to 500,00 euros with maximum 60% co-financing. Please send your application no later than by 11th January 2016 over email to rok.primozic@apyn.org with references that confirm your capacity and experience in organizing similar events.